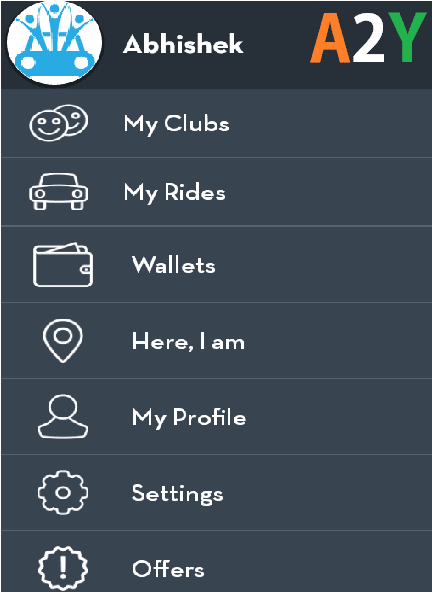 ClubMyCab – An innovative Taxi Service rating + an app which will connect all your friends to make a special club for your taxi services. Choose best cabs from a Range Of Service Providers in your city and lot more with Clubmycab app. Book a cab with peoples you trust and share the money. Not only this Share this useful app and earn free Mobikwik cash from which you can do recharges, pay bills, shop online, order food and lot more than this. 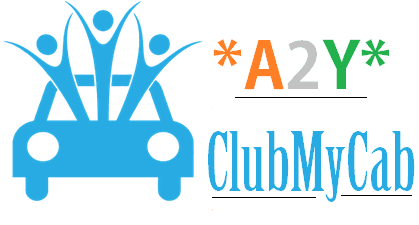 Update – ClubMyCab has changed their Terms – You won’t get Mobikwik Cash by referring your friends but you can redeem that points on your Shared-Cab Booking! Stay Updated for further loot updates!! After Downloading, Open ClubMyCab App and Click On “Get Started” button. Now visit Menu and Tap on “Wallet” Option. It will ask you to Link your Mobikwik Wallet now. Enter your Mobikwik no. and click on “Send OTP” > Again verify it by the OTP sent. All Done Now! You are now ready to refer your friends. 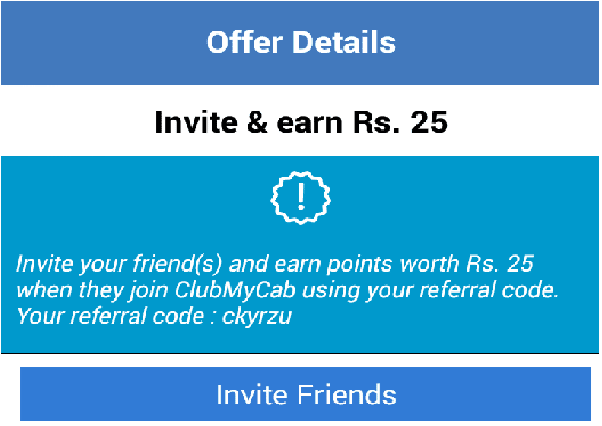 To refer your friends to use ClubMyCab app, Open Menu and Click on “Offers” option. Now you will see “Invite & Earn Rs.25” Option there on the page. Click on it to get your referral code. Share your referral code with your friends to earn free Mobikwik Cash. Do visit again for more loot updates! !